A beautiful and moving collection of poetry by a new author. 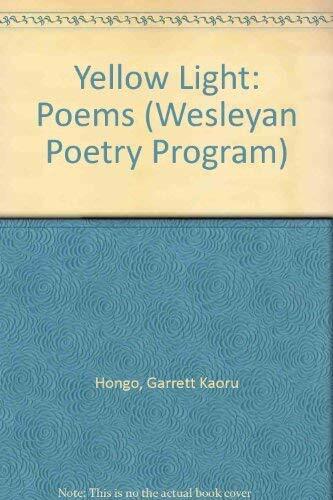 Garret Kaoru Hongo s first collection of poems I a beautifully written and extremely moving book. A Japanese American, Hongo asks his reader to consider the historical dilemma of the post war Japanese living in Hawaii and California. Ye the politics of these poems are intimate and person and when Hongo s anger and indignation breaks loose in his work the effect is exhilarating and liberating. David St. John, The Antioch Review"
"Garret Kaoru Hongo's first collection of poems I a beautifully written and extremely moving book. A Japanese American, Hongo asks his reader to consider the historical dilemma of the post war Japanese living in Hawaii and California. Ye the politics of these poems are intimate and person... and when Hongo's anger and indignation breaks loose in his work... the effect is exhilarating and liberating." --David St. John "The Antioch Review"